I selected this post because I had never heard of dewberries. It turns out that dewberries are closely related to blackberries, but I’ve also seen them compared to raspberries. They grow on small trailing brambles in the wild. They have vines that are covered with small thorns. 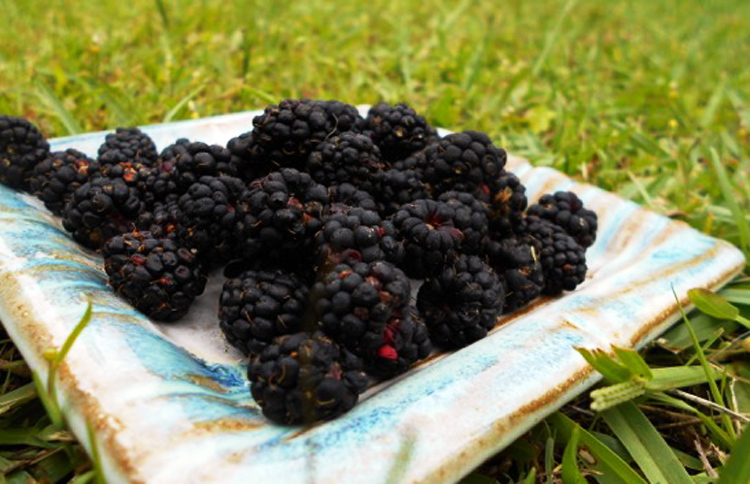 This post includes some cautions about foraging for dewberries. Click on the How to Make a Delicious Dewberry Syrup link below to see Rachel’s recipe. What wonderful memories you have !